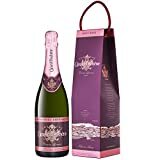 Find some great offers and discounts on Canard-Duchene Champagne. Compare prices and search for exclusive voucher codes. Have a look at Price History or set up Price Alerts to never miss a deal on your favourite bottle. The Canard Duchene Champagne house was set up in 1868, by Victor Canard, a barrel maker, and Leonie Duchene, a local winemaker. They married in 1860, and swiftly established the name and reputation of the house. Having been one of the most visible Champagne brands in the UK through the 1990s, when owned by luxury goods giant LVMH, Canard-Duchene has had a more low key presence over the last decade, and has moved out of the supermarket estate, into a more premium focussed environment. The company have recently set up a UK office, Thienot UK, with a mission to develop the brand once again. At present, 70% of the UK sales of Canard-Duchene are via independent shops and retail, however it is the new strategy of the company to focus more on the restaurant and hospitality side of the business from now on. As a result of this, Canard Duchene has just launched a new brand, called Cuvee Leonie, which will be exclusive to restaurants. What’s The Background To Canard Duchene? The marriage of Victor Canard and Leonie Duchene led to the dream of launching their own Champagne house. With their unique combination of skills – his barrel making and grape farming, and hers, winemaking, they created a unique and very successful Champagne brand, only 8 years after marrying. Their success was helped by the fact that, at the time and after the French Revolution, they were not imbued with the badge of aristocracy, which was associated with many of the more prestigious Champagne houses, and therefore appealed to the citizens of France (who still enjoyed drinking Champagne), during a period of time, when citizenship ruled, and aristocracy was condemned. One of the unique points about Canard-Duchene is their location, both then and now. The majority of the big Champagne houses are based in the major towns of Reims or Epernay. However Canard-Duchene has kept its base, where the founders set up, in the town of Ludes, situated in the beautiful landscape and protected countryside and national Park, of the Montagne de Reims, home of the best Pinot Noir grapes for Champagne production. It is also one of the few Champagne houses to remain family run. It was the Canard-Duchene son, Edmond, who was responsible for bringing international fame to the brand, developing close ties with the Russian court of Tsar Nicolas II. So close were the ties, that Canard-Duchene were appointed as official Champagne supplier and also allowed to use the Coat of Arms of the Russian Imperial Family (a crowned 2 headed eagle) on their label, which remains to this day. Today, Canard-Duchene continues to focus on its pedigree, lineage but also location. It is one of the foremost supporters of Champagne houses, of sustainable and environmentally-friendly production methods, and recently launched a totally organic Champagne, called ‘Authentic Green’. Its organic production is around 70,000 bottles. What Styles Of Wine Does Canard Duchene Make? Canard-Duchene produces a range of award winning wines, all founded on the principle of heritage, and most importantly, sustainable vineyard and wine production practices. They have consistently won silvers in the majority of the main internationally recognised wine competitions, such as Decanter, International Wine Challenge and International Wine & Spirit Competition. 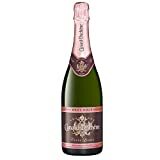 Canard Duchene Authentic Brut – a consistent blend of 45% Pinot Noir, 35% Pinot Meunier and 20% Chardonnay, this is an elegant, fresh, and fruity style of Champagne, produced with 20% of older reserve wines, with a creamy, biscuit character. Canard Duchene Authentic Rose – the winemakers themselves pronounce this as a feminine, delicate Rose, which appeals to the eye and nose, and is more delicate on the palate; lively, ethereal, and blushingly pink, it’s a blend of 50% Pinot Noir, 20% Pinot Meunier, and 30% fresh and delicate Chardonnay. 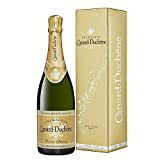 Canard Duchene Authentic Demi sec – based on a higher dosage (sugar levels) than the brut, but with a similar blend, this is a refreshing, soft, creamy Champagne, which is off dry in style, with a delicate floral, sweetness on the finish. Canard Duchene Authentic Vintage – Canard Duchene vintage is made traditionally from a predominance of Pinot Noir grapes, as befitting the company’s home in the Montagne de Reims countryside. Rich, toasty, yet minerally, with restrained vigour and complexity. Canard Duchene Cuvee Leonie – produced exclusively for the restaurant trade, this is a prestige cuvee, using a high proportion of reserve wines, and aged for a minimum 3 years. The Cuvee Leonie organic brut, is produced from 15 hectares of organically certified vineyards, which produce less yield than the average. 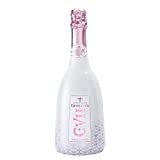 There is also a Cuvee Leonie Rose. Canard Duchene Authentic Green – a totally organic Champagne, and one which reflects the prime consideration and ethos of the company. It’s a lighter style, produced from 50% Chardonnay, 40% Pinot Meunier and 10% Pinot Noir – fresh, fruity and perfect aperitif Champagne.